I have similar colour wool chosen by my boys! Am worried that there has been no update. It doesn't necessarily mean bad news I guess, transplant is such a massive thing it might of all hit home. No matter what the decision is, it's bound to be accompanied by huge emotions. Note to self...do your pelvic floor exercises! I can't stop thinking of her. Wow ms. Those squares are beautiful. Happy I will see if I can find a chart, if not I'll draw you one up myself. I love crochet charts. Will pm my address to you. This blanket is going to be absolutely beautiful. Happy I think the pattern you are after is the attic24 summer garden granny square with an extra round of granny square stitch thrown in. There is a fab tutorial here but I'll keep looking for a chart. I've posted on the fb group, but thought I'd put it here too. 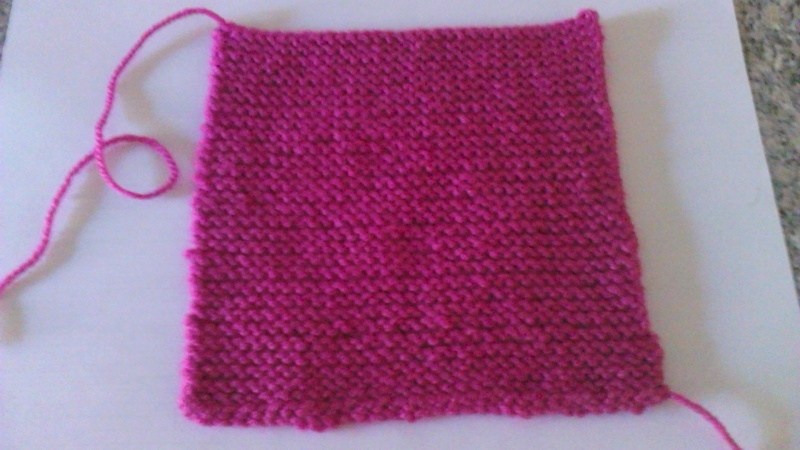 I've finished my square. Plain knit. Well worth a Guides Knitting badge I would have thought. Well done. Only another 119 to go. The last time I did knitting I was in the guides, it didn't go well. So second attempt 32ish years later is a marked improvement. 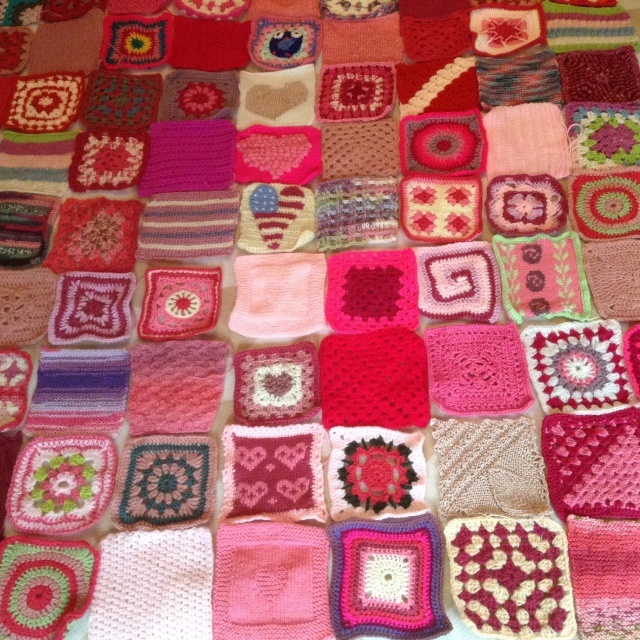 Thought those of you who aren't on fb might like to see the squares so far. Wow! Just caught up with Some of this and seen a bit on FB. This isn't a project I can commit to right now but can I contribute somehow? Can I paypal someone funds for wool? Miss.i when I post it I would really appreciate some funds towards that if that is okay? H I will happily pay towards the postage too. On my king sized bed! It's going to be so big. 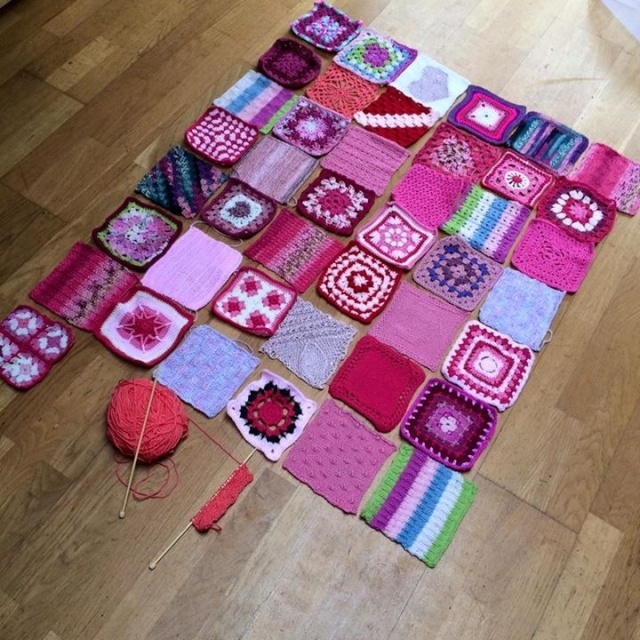 I'm currently thinking 11x11, with everyone who has made a square having atleast one in MJ's blanket. 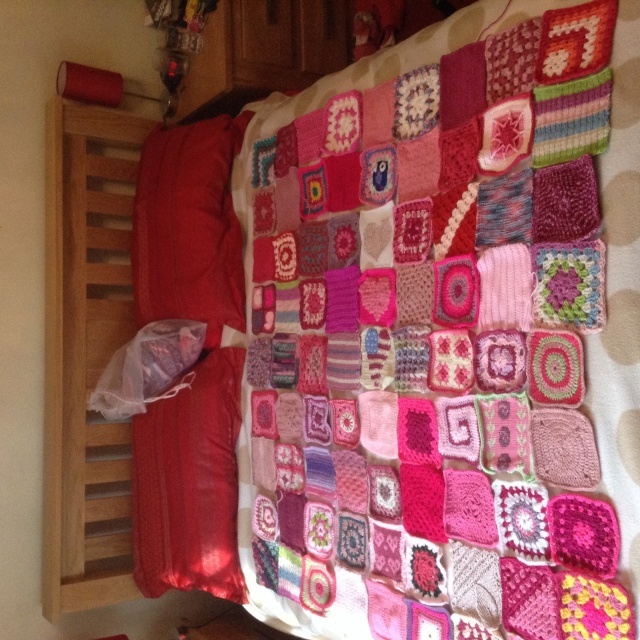 The remaining squares will be used to make a smaller blanket for May, with any left over being used to make a scarf for MJ. Ladies you are all amazing. This is so beautiful. That's fab thanks Nich. I hope you're working on those pom-poms too! Morningstar your squares arrived today. They are beautiful.